Urban agriculture is at the centre of the new story of food, and in the coming months we will feature many short films of how it is being practised around Australia and around the world. The Dervaes family grows over 400 species of plants, 4,300 pounds of vegetable food, 900 chicken and 1,000 duck eggs, 25 lbs of honey, plus seasonal fruits throughout the year”. When a family gardens, their diet is more diverse and inherently healthier, packed with vitamins, minerals, and antioxidants. Food in its purest, freshest form is not only the tastiest way to enjoy it but also the most beneficial nutritionally. When you grow your own food, you know what goes into it: how it’s fertilized, what pesticides are used, and overall care. 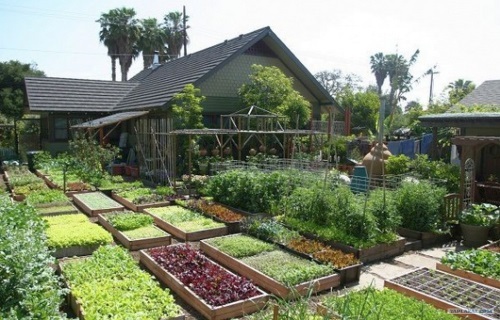 If you grow organically, you can eat organically. Not only is that beneficial for you, but also fewer chemicals and less distance traveled to get the food on your plate make for a smaller carbon footprint. …and it’s like nothing you’ve ever seen before… An A to Z guide on survival gardening that is easy to read and a joy to put into practice, full of photos, diagrams and step by step advice. Even a kid can do this and, in fact, I encourage you to let the little ones handle it, to teach them not just about self-reliance but also about how Mother Nature works.